CBRE announced on Monday that retail specialist and 31-year industry veteran Ken Bleznak has joined the company’s Radnor, Pa. office to serve as executive vice president. In his new role, Bleznak will focus on tenant representation and consulting services both nationally and in the greater Philadelphia region. Bleznak’s on-boarding further enhances CBRE’s industry-leading retail real estate services in the region, the company said. 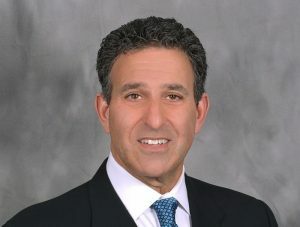 Prior to joining CBRE, Bleznak founded Atlantic Real Estate Group, based in Bala Cynwyd, Pa., where he served as President since 2002. Before launching Atlantic, he worked at several other large firms including Jackson-Cross (Insignia/ESG), Metro Commercial and Colliers. According to CBRE, using this long and diverse experience in the industry, he has helped to design and execute many of his clients’ trade area and site analytics as well as multi-market expansion programs. Throughout his career, Bleznak has represented premier names in the retail industry including Whole Foods, CVS, Wawa, BJ’s Restaurant Group, California Pizza Kitchen, Redstone American Grill, Lululemon, Dave & Buster’s, A.C. Moore and Citizens Bank, among others. He has worked with national and local landlords as a broker and consultant to redevelop and reposition their assets for optimal tenant mix and value.